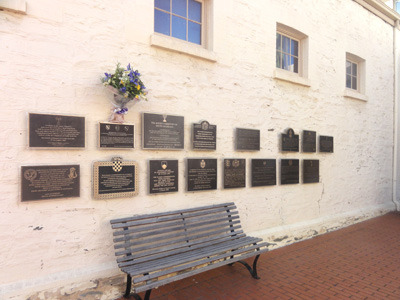 The Migration Museum can be found in the same block as South Australian Museum and the Art Gallery of South Australia, but this lesser known historical spot can sometimes be forgotten. Hidden along Kintore Avenue, the museum aims to tell the story off all South Australians through the history of migration. This museum challenges current notions of migration and immigration, the act of leaving ones country for another and the journey that one takes. 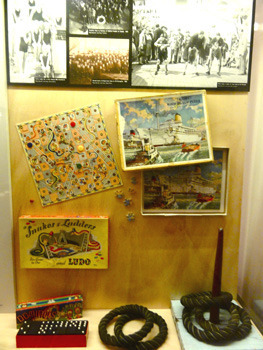 It looks at the the impacts of immigration whether it be through invasion, necessity, or desire. Everyone from the traditional land owners, to the newly arriving refuges, have all had a journey that has lead them to calling South Australia home. 'On Their Own' is one of the exhibits currently at the museum, and it explores the the journey of British Child Migrants who were brought to Australia to help fill labour shortages. This migration program was made up mostly of street children and children whose parents could not look after them. The videos, audio, and interactive displays am to present both the good and bad experiences that these children had making the move to Australia. 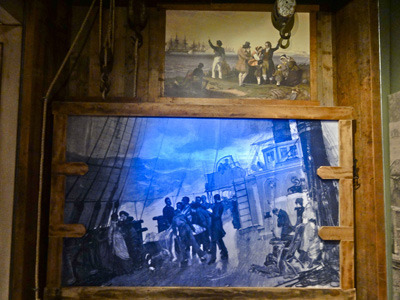 Enter their exhibition of 'The Great Journey' and you feel like you have stepped onto a ship, while the paintings, ledgers, and belongings help to recreate long travels to Australia. From 1815 to 1930, 52 million people migrated to Australia. 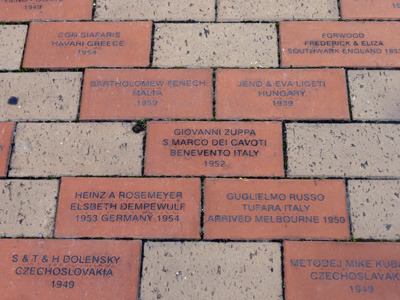 Their stories are told alongside those detailing migrant contribution, and alongside the stories of refugees. There is an overall positive message about accepting cultural diversity, and understanding the ways in which Australia has not been so good at this in the past. 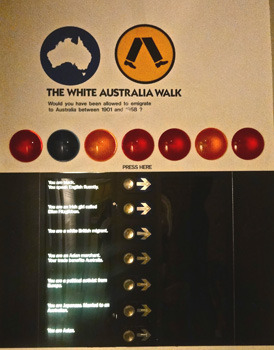 Take 'The White Australia' walk to see if Australian officials would have allowed you to emigrate to Australia from 1901 to 1958. You can also leave a note to let them know what you thought of the museum. In the 'On Their Own' exhibit you can try your hand a churning butter or lifting 10kg of bricks, to experience some of the tasks child labourers would have faced. There is another side of the Migration Museum that explores a different story, 'Behind the Wall' harks back to the days when the museum was the site of Adelaide's Destitute Asylum. 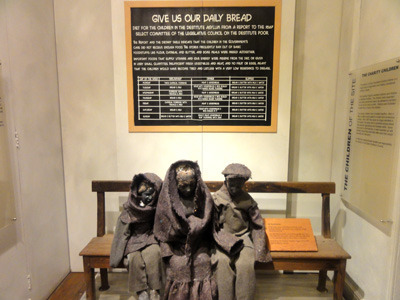 It tells the story of the women and children who lived in the asylum. All of the exhibitions at the Migration Museum are moving and emotional, you take a journey with children, families, sons and daughters, and mothers and father. This is an important place to visit for any South Australian, and for any visitors to the state, to find out what Adelaide and South Australia are made from.